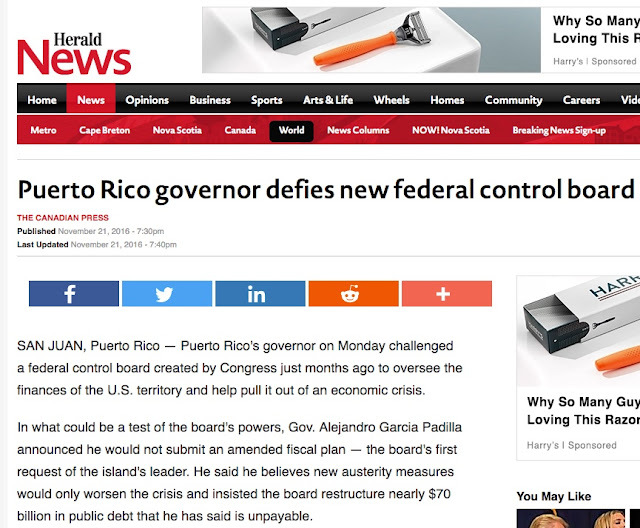 POLEMIC & PARADOX: DOES PUERTO RICO HERALD NL FUTURE? DOES PUERTO RICO HERALD NL FUTURE? SAN JUAN, Puerto Rico — Puerto Rico's governor on Monday challenged a federal control board created by Congress just months ago to oversee the finances of the U.S. territory and help pull it out of an economic crisis.